Argo | TEMA permanent magnet electric motors have performance characteristics uniquely suited to cranes, hoists, winches, and other mobile and fixed heavy lift equipment. 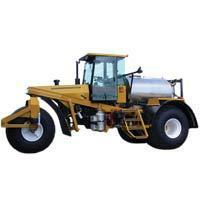 Even stopped under full load, Argo | TEMA motors maintain full torque, simplifying design and extending operating life. Lifting, traction, and positioning systems each benefit from advanced Argo | TEMA motor design and operation, matching power and load precisely to enhance performance while reducing emissions and fuel cost. 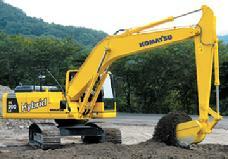 This Komatsu hybrid excavator is among the first of a new generation of heavy equipment. 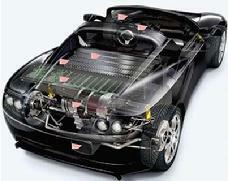 It uses a diesel electric power generator, electric swing motor, and integrated electronic controls. Working on the principle of swing energy regeneration and energy storage, it provides fast energy storage and instantaneous power transmission. The Tesla roadster has completely eliminated the image of electric cars as gutless experiments in alternative power. Fueled by lithium-ion battery cells, the Tesla gets an EPA-rated 244 miles per charge, and accelerates 0-60 in a blistering 3.7 seconds. Argo|TEMA is responding to the demand for cool-running permanent magnet wheel motors with its new MBW line of sophisticated liquid-cooled motors for direct drive use in vehicle propulsion. These US Army remotely-controlled de-mining units are being deployed world-wide to make war-torn areas safe from land mines. The European manufacturer Dok-Ing, is working with TEMA to design a new generation of battery-powered de-mining equipment powered by Argo|TEMA LPMG and SPM series motors. 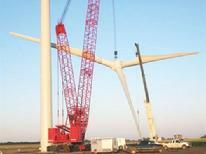 Scheduled for release in 2011, these machines will be capable of sustained duty in conditions ranging from tropical moisture to relentless desert heat using either battery or hybrid power. Traditionally powered by either direct-drive diesel or pump-driven hydraulic motors, agricultural equipment is now moving to hybrid diesel-electric power for both propulsion and auxiliary equipment operation. The gains are not only economy of operation, precise control and long service life, but also freedom from hydraulic system failures and the resulting contamination of soil and agricultural products. World food production system stability and security are driving this design revolution. Off-road vehicle design now includes wheel and tracked, operator and remote-guided, powered and trailing, and amphibious models of all sizes and capabilities. They are used to move personnel and equipment safely in previously inaccessible areas over terrain too demanding for other forms of transportation. Breaking free of direct-drive diesel engine size and power, newer units are now available with hybrid and battery electric power, extending range, performance and payload. 21st century light rail is increasingly filling the need for economical, efficient mass transit both within urban centers and between them. 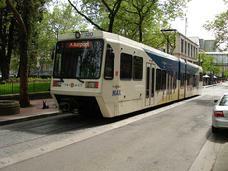 Light rail cost and performance are no longer bound by outdated motor technology. Strong, lightweight passenger compartments are being paired with high-efficiency permanent magnet motor drive systems to yield unparalleled energy efficiency and service life. Next Step? Fuel cell power for ultra-high efficiency motors like the LPMR and LPMG series from Argo|TEMA.